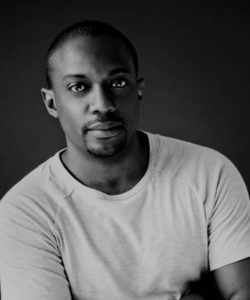 Hank Willis Thomas received his BFA from New York University’s Tisch School of the Arts and his MFA in photography, along with an MA in visual criticism, from California College of the Arts in San Francisco. His work was published in his monograph Pitch Blackness (Aperture, 2008). Thomas’ work is in numerous public collections including The Whitney Museum, the Brooklyn Museum, and Museum of Modern Art. His collaborative projects have been featured at the Sundance Film Festival and installed publicly at the Oakland International Airport and The Oakland Museum of California. 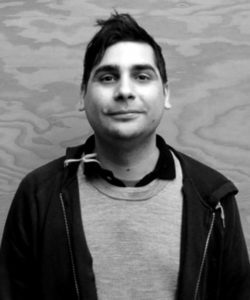 He is currently a Spring 2012 Fellow with the Ellen Stone Belic Institute for the Study of Women and Gender in the Arts and Media at Columbia College Chicago. Thomas is represented by Jack Shainman Gallery in New York City. Detroit-based artist, Hernan Bas was born in Miami, Florida in 1978. Tinged with nihilist romanticism and born of literary intrigue and a passion for historical painting, Bas’s sensuously delightful paintings personify epic romance, embracing both the decadence and nastiness of pleasure. In February 2012, Bas will open his first European museum solo show at Kunstverein Hannover, Germany; and in March 2012 will unveil a project with Louis Vuitton at the company’s Aventura space in Miami, FL. His works have been exhibited in numerous solo and group exhibitions, among them, the 2007 retrospective at the Rubell Family Collection, Miami, FL, which presented a decade of the artist’s work and traveled to the Brooklyn Museum of Art in February 2008; and Bas’s inclusion in the Nordic Pavilion at the 53rd Venice Biennale, curated by Elmgreen & Dragset. Recent group exhibitions include “Contemporary Magic: A Tarot Deck Art Project” at the Andy Warhol Museum, and “The Cry” at the Museo de Arte Contemporaneo de Castilla y Leon (MUSAC). Hernan Baslives and works in Detroit, Michigan. Original of Caracas, with both Venezuelan & Spanish nationalities, Solita Mishaan has been an Art Collector since 1985, specializing in Latin American Contemporary Art. She is a member of various charitable and non-profit organizations and is member of the Board of Directors of Museo Jacobo Boges in Caracas, Venezuela. With a Literature and a Law Degree, Solita also studied one year of Masters Degree in Political Science in the McGill University in Montreal Canada, where she later became the Chair of the Saidie Bronfman Gallery and part of the acquisitions committee for the Museum of Contemporary Art of Montreal for the last seven years. She is also member of the acquisitions committee for American and Latin American Art for the TATE Museum in London and Latin American and Caribbean acquisitions member committee for the MOMA in New York City. She is part of the International Council of the Israel Museum in Jerusalem and Trustee of the MAM (Miami Art Museum). Solita is also in the Board of Director of CIFO in Miami, ARTBO Member honor committee since 2010 and International friend of EL PRADO Museum in Madrid, Spain. Yvonne Force Villareal is president and co-founder of Art Production Fund (APF), a non profit organization devoted to helping artists realize difficult-to-produce works, reaching new audiences and expanding public participation and understanding of contemporary art. Projects include: ‘Show’ by Vanessa Beecroft at The Solomon R. Guggenheim Museum; ‘Keith Edmier + Farrah Fawcett’ at Los Angeles County Museum of Art and The Andy Warhol Museum; ‘Plan B’ by Rudolf Stingel at Grand Central Terminal and The Walker Art Center. Yvonne Force Villareal co-founded Art Production Fund in 2000 with Doreen Remen, whom she met at Rhode Island School of Design in 1988. Force began her public career in the arts in 1995 as the President/Founder of Yvonne Force Inc., a company backed in part by the late Mr. Laurance S. Rockefeller and established to support young contemporary artists by acquiring/lending their work. Force graduated from RISD in 1988 with a degree in Fine Arts and has served on the Board of that Department since. While running her business she attended NYU graduate school and is currently working on her thesis. She has served as a Board member for White Columns since 1995. She has appeared as a guest judge in the Bravo series “Work of Art” and has made appearances on Plum TV, Morning Style/Vogue TV, “Art Star”, and HDTV documentaries on Jeff Koons, Noble & Webster and Matthew Barney. Magazine features include French Vogue as well as American Vogue, W, WWD and WSJ. Ms. Force has been a guest lecturer at many institutions including: Frieze Art Fair, Yale University, Brown Uiversity, RISD, SVA, FIT, Art Center in Pasadena and Museum of Modern Art, NY.